As society lives more and more online, it’s become increasingly difficult to ensure security and privacy. 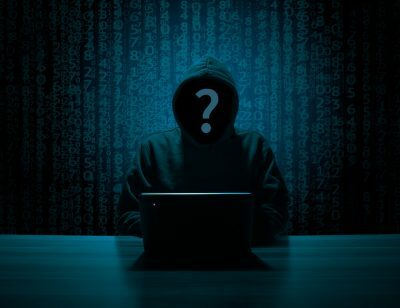 Each year, cybercrime and identity theft continue to rise, meaning that connected users have to find ways to defend themselves. This is especially pertinent to those that earn their living or make an income from internet-based platforms. Regardless of how much time a user spends on the internet, it’s vital for everyone to learn ways to defend themselves on the internet. The most important thing is to work preemptively rather than waiting for the danger to approach. Being prepared to meet a threat can often stop it from having any sort of effect. If we wait until we’ve been negatively affected by cybercrime, the damage is often already done. By the time a victim has discovered they’ve been affected by identity theft, it may be too late to counter the attack. By then, it’s far too late to combat the problem, and victims have to work to undo the damage done. Part of preparing is ensuring that one has the right tools to ensure their privacy. To this end, virtual private networks, or VPNs, have become incredibly popular. These effective tools work to keep privacy by keeping the transportation of data secure, stopping cybercriminals from prying on what a user is doing. A common way they accomplish this is through masking the IP of the user, which makes it so that identity thieves have a more difficult time tracking their victim’s activity. Antivirus software is another important part of preparation. A common tactic that cybercriminals may use is to infect a computer with malware or spyware. These malicious programs hinder the use of a computer, often while transporting the data back to the designer. For those that wait until their computer is afflicted by these programs, it can be incredibly difficult to get rid of them, often only done by sacrificing all information and performing a factory reset. Antivirus can help to prevent these measures in a preemptive manner, but as with identity theft, the damage is often done immediately once the theft occurs. Security and privacy can feel nearly impossible to maintain in the Information Era. Individuals must educate themselves on the threats that face them on the internet and how best to prepare for them. By working preemptively, users can effectively fend off the vast majority of threats to their security.